We are among the leading Manufacturers and Suppliers of Electrically Operated Muffle Chamber. Our Electrically Heated Muffle Chamber is a rectangular furnace used for heating various applications, which require temperature up to 1200Â°C. 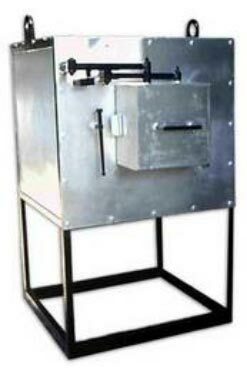 The furnace is fabricated from mild steel plates duly reinforced with steel sections. Our coil shaped heating element is suitable to give temperature up to 1200oC.